Kayak Store are proud to offer the famous Point 65 Tequila! GTX Tandem Modular Sit On Top Kayak. With so many on offer these days, it is wise to have a make you can trust. The Point 65 Tequila! GTX Tandem Modular Sit On Top Kayak is certainly that and will be a excellent purchase. For this great price, the Point 65 Tequila! 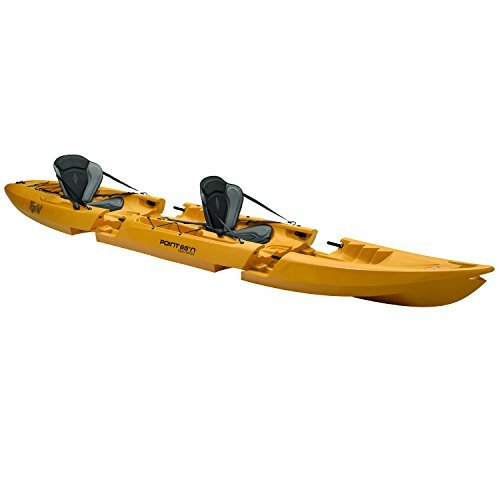 GTX Tandem Modular Sit On Top Kayak is widely respected and is a regular choice amongst most people. Point 65 have added some excellent touches and this means great value for money. GTX uses a brand-new level of development for leisure kayaks. A fun, versatile and high-performance kayak that, due to its modularity, is extremely simple to carry, store, and haul. With Point 65's ingenious patented Snap-Tap solution, the single-seater snaps apart and re-assembles in seconds for a kayak that is safe, stable, and strong making it by far the most light-weight kayak on the market.